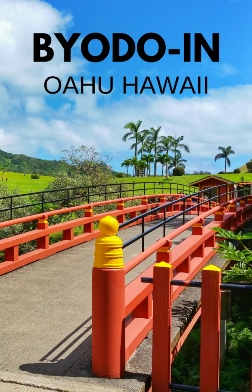 If you’re looking to get away from the hustle and bustle surrounding Waikiki for a day, you can make the area of Kaneohe one of your considerations. 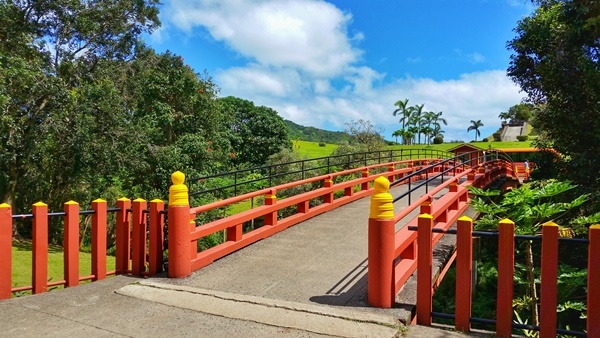 In addition to the Hoomaluhia Botanical Garden and the Puu Maelieli hiking trail, have a look to the Byodo-In Temple! How much time do you need at Byodo-In Temple? The grounds of the Byodo-In Temple isn’t too large, so this could be a trip of less than an hour. It makes for a nice peaceful nature walk, and you can feed the carp in the pond with fish food that can be bought in the nearby gift shop. 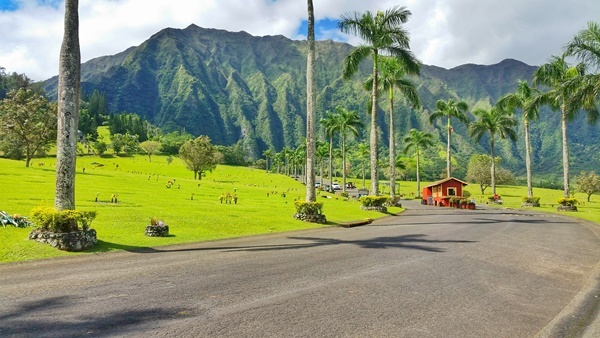 This temple is located in the Valley of the Temples with the backdrop of the Koolau Mountain Range that you see passing through Kaneohe which makes for beautiful scenery driving to the temple location. Once you turn onto the road of the Valley of the Temples, Byodo-In is located towards the back. There is a nominal admission fee for entrance. At last check, it was $5. See the updated Byodo-In Temple hours and prices here. What makes the Byodo-In Temple significant to the State of Hawaii? This magnificent temple is a replica of the Byodo-In temple that was built in Uji, Japan, over 950 years ago. The temple and garden surrounding the temple was formally dedicated in 1968 to commemorate the 100-year anniversary of the first Japanese immigrants to Hawaii. The Byodo-In Temple near Kyoto, Japan, was chosen for reproduction in consultation with Hawaii religious representatives because of its beauty and cultural significance. 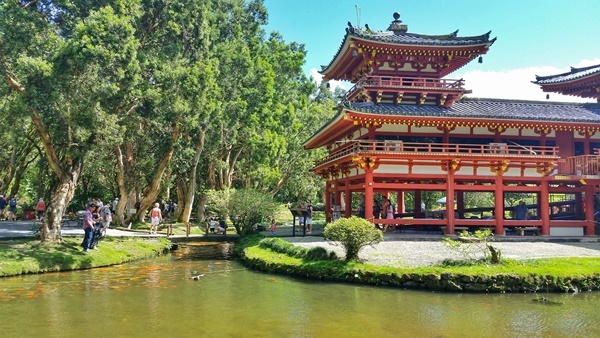 The temple in Uji has been designated a National Treasure by the government of Japan, making this replica a fitting tribute to the Japanese people of Hawaii. Learn more about the temple. And here’s how to get to the Byodo-In Temple by bus.